One of the most versatile mats on the market, the Natural Fitness Warrior Mat has something for everyone. Manufactured without the harmful chemicals found in PVC foam mats to keep your practice healthy, it also keeps you safe thanks to the medium cushion and grooved patterned that prevents slipping. It's also built to last so even as you graduate to more advanced poses, this mat will remain a dependable fixture in your home or at the studio. 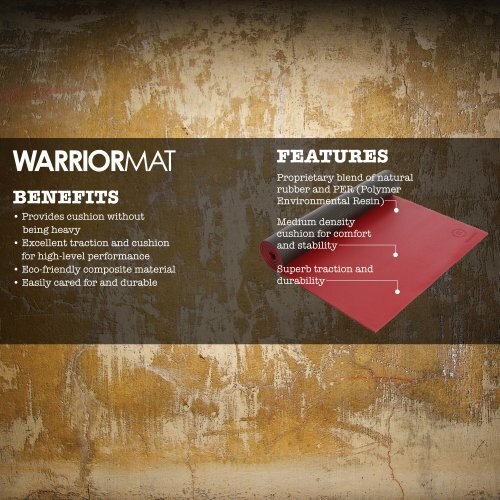 Material: Natural Fitness has created the Warrior Mat using the same proprietary blend as our elite Hero Mat. 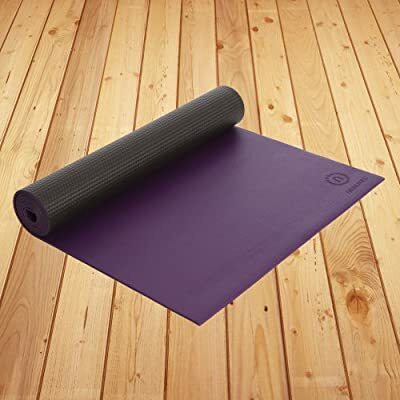 The proprietary blend of natural rubber and PER (Polymer Environmental Resin) to create an user-friendly composite which is provides the most important qualities needed in a yoga mat: superior traction, durability and density. Traction: The top of the mat provides a non-slip surface that you would expect from a high performance mat. The ever so slight ribbing texture of the mat grips your body as you move through poses and holds up over years of practice. The bottom of the mat incorporates a texture that is designed to grip the floor and not move once laid in place. Density: The Warrior Mat is 5mm and a medium density composition which is appropriately thick and cushioned for a studio grade mat. The medium density makes the Warrior Mat lighter in weight than our Hero Mat. Durability: The Warrior Mat is designed to be a studio mat; it will hold up for users of all levels and disciplines.